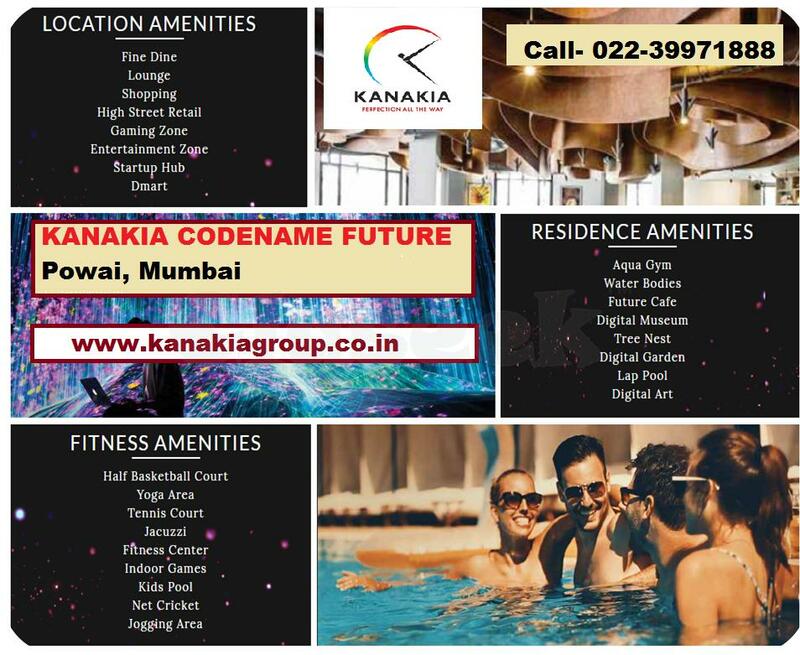 Kanakia Codename Future by Kanakia Group is Newly Launch Residential project coming up at Powai Mumbai. Kanakia Powai is offered an Ultra Luxurious 2, 2.5, 3 and 4 BHK Residential Flats at Powai, Mumbai Starting 2.5* Cr. Onwards. 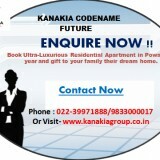 Kanakia Codename Future offers multiple configurations of luxurious Apartments/Flats for the best lifestyle experience. Kanakia Codename Future spread over 14 acres of land area. Powai is the most Desirable location in Mumbai. Many Multinational and Corporate offices have set up their base in Powai. Many developers, including Kanakia group, have started exploring the luxury residential segment in Powai. The project is Designed to offer the Excellent views from each and every residence. The main plan of this project comprises of unique Draft that Provides a world-class lifestyle in Apartments in Mumbai. Kanakia Codename Future is a luxury enclave of apartments in Mumbai. 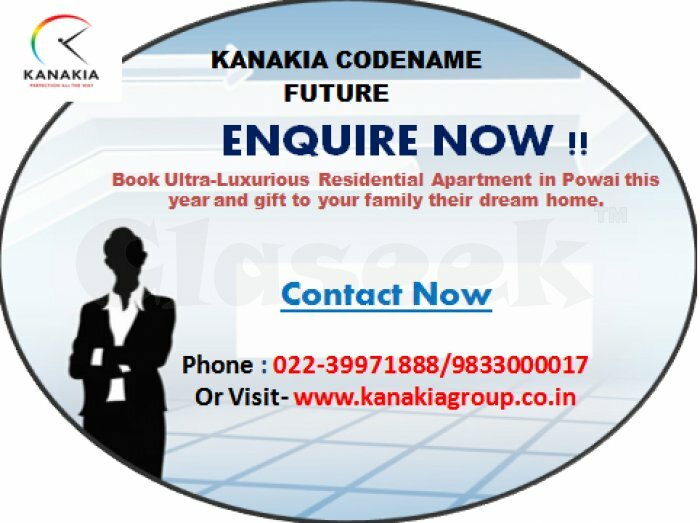 Kanakia Codename Future at Powai by Kanakia Realty Pvt. Ltd is designed with convenience & the best of amenities. • Offer: Book Now Your Dream Home Before space Ran Out! !